Trying to quench a thirst for outdoor adventure? 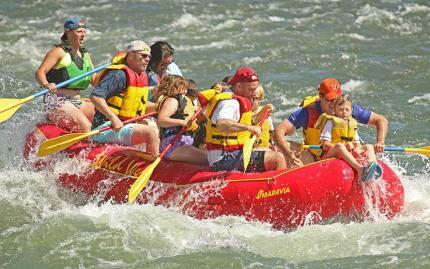 Drink in beauty of Yellowstone National Park during this family-friendly rafting trip! 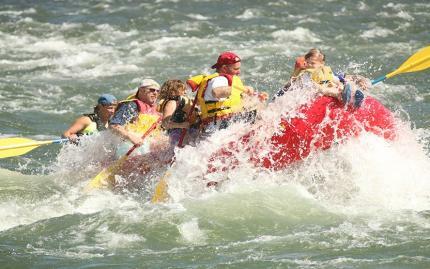 You'll spend four or five hours on Yellowstone River, where you'll paddle through splashy Class II & III rapids with an experienced guide. 18 miles of river await. You'll break midway through for a picnic lunch on a river island. Highlights include a run through Yankee Jim Canyon, and a professional photographer will even capture some shots of your day to commemorate the experience! You'll also spend the night camping beside the river after your river run, or the evening before. Enjoy a Montana steak dinner, grilled on the spot, with delicious sides to as well. Afterwards, walk along the riverbank, fish, or just kick back relax! Of course, stargazing, campfire stories, and roasted marshmallows are in store! 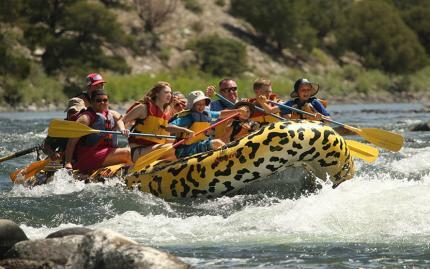 If you cannot make it to your scheduled rafting trip please contact Wild West Rafting 24 hours in advance to cancel your appointment. If you do not cancel 24 hours in advance you will be charged 50% of your booking fee and 100% for a "No-show". We understand that plans change when you are on vacation; please call them at 800-862-0557 and your trip can be rescheduled.